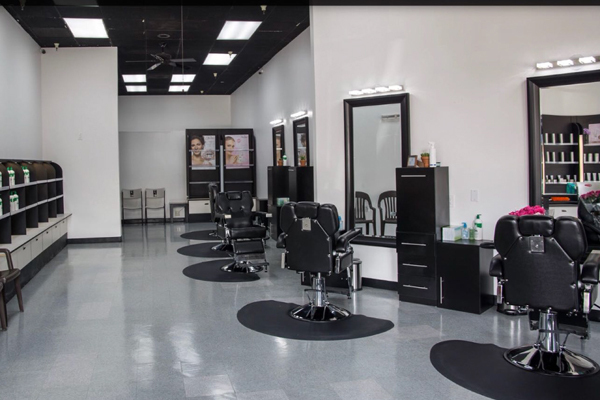 Desirous makeup at your fingertips with Shobhana Beauty Studio in San Ramon, CA! Makeup is the part and parcel of our daily life because when we look good, we feel good and eventually do good to others too. Here at Shobhana Beauty Studio, we better understand the importance of makeup; hence, put our best in beautifying your beauty that lies within. You look gorgeous and make the mass breathless from your stunning appearance is what we put on priority. With a key objective of optimum customer satisfaction, we take pride in bestowing our clients with the latest techniques in hairstyles, corporate grooming, bridal makeup and other beauty services that can be helpful in bringing out the best of you. At our beauty studio, you will fall in love with the positive vibes of our relaxing ambience while efficient hands of makeup artists pamper you. The core two purposes of visiting our studio! No matter you are looking for breathtaking makeup services or want to be a Makeup Artist, you have come to a right place. Celebrate the big day of your life with us! Let A Professional Indian Makeup Artist Pamper You! The ace makeup artists at Shobhana Beauty Studio aid people to look at their best in their day-to-day life. Everyone wishes to look beautiful and receives compliments. This desire is a communal impact that sowed its seed in ancient time only when people used to count on natural herbs to shade their cheeks and lips. While we still believe in natural ingredients to enhance our appearance, the practice of makeup has revamped into a complete industry in the present phenomenon, which calls for professional expertise to put in place. At our studio, we have a team of professional artists who carry the core competence in making you picture perfect. So, whenever you have to face a camera or need to rock a party with your stunning appearance, come to us. We will be heartily happy in helping you discover the best of you! Be A Maestro In Applying Makeup! Makeup application is an art that is not god gifted. It can be learnt by joining a Makeup Training class. Want to penetrate the ever booming beauty slice? Looking to improve your career prospect? Want to know where to start? Welcome to Shobhana Beauty Studio! We offer you a variety of Makeup Training class in San Ramon, CA, which help you reach your ultimate goal of being a leading makeup artist without compromising on your current earning potential. Gift Yourself a new look or become a renowned makeup artist with Shobhana Beauty Studio! Call us now on (925) 236 2680 to book an appointment.